At age 11, Dr. Jeremy went along with his father to see the chiropractor. The surgeons had told his dad, who was bedridden, that he’d never walk again unless he had surgery. The chiropractor provided an alternative to going under the knife. Dr. Jeremy knew he wanted to do the same for others. Dr. Jeremy attended Cleveland College of Chiropractic in Los Angeles. He graduated in 2003 with a Doctor of Chiropractic. Since that time, he has become a pediatric-certified chiropractor (CACCP) by the International Chiropractic Pediatric Association (ICPA). Also, he is certified in the Webster Technique. 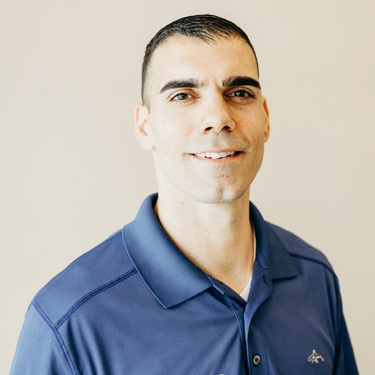 Dr. Jeremy holds a Chiropractic Wellness Practitioner® certification (CCWP) from the International Chiropractic Association’s Council on Wellness Lifestyle Science. With a passion for pediatrics and pregnancy, Dr. Jeremy takes continuing education each year with the ICPA. Born and raised in Indio, Dr. Jeremy likes to spend his spare time in the great outdoors. He and his family, which includes three children and a dog, enjoy being active and playing soccer. He goes to the gym, participates in Spartan races and is a proud Christian who attends church regularly. If you’ve been bothered by an ache, pain or want to reach a higher level of health, contact Gonstead Family Chiropractic today! We have same-day visits and are open late.